Like a mix between Hermes and Iskander. Everything here is ok with small exception. This is technically not a mini Iskander. But a two stage Hermes. As far as can be judged, we are talking about the delivery of the first of two additional brigade kits of an operational-tactical missile system (OTRK) 9К720 Iskander-M under a contract concluded in August 2017 by the Ministry of Defense of the Russian Federation with with Scientific Production Corporation "KB Mashinostroeniya". According to available information, this kit is designed to re-equip the 448th missile brigade of the 20th Guards Combined Arms Army of the Western Military District stationed in Kursk. To date, the 448th missile brigade has remained the only of the 12 deployed rocket brigades in the Armed Forces of Russia, retaining in service the outdated Tactical missile system 9К79-1 Tochka-U. 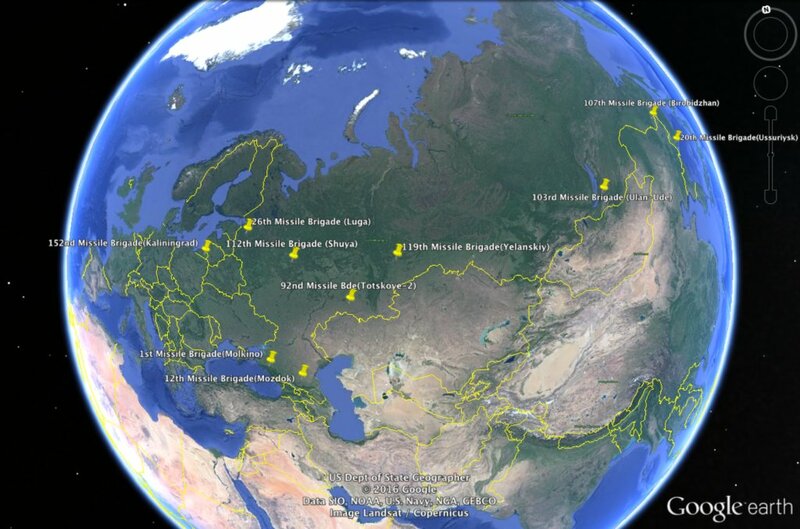 The remaining 11 missile brigades received from 2010 to 2017 the brigade sets of the Iskander-M Tactical missile systems (nine brigades were re-equipped from Tochka-U tactical missile systems and two brigades — the 3rd and 12th — were additionally formed). The upcoming rearmament of the 448th missile brigade at the with Iskander-M was reported at the end of 2017. It can be assumed that the second brigade set of the Iskander-M Tactical missile system under this contract will be delivered in 2019 and should be used to form a new missile brigade as part of the 8th Guards Combined Arms Army of the Southern Military District. so Tochka-U has been phased out by Russian Army? An unusual modification of the operational-tactical missile complex "Iskander" appeared in the release of television news. Specialists bmpd drew attention to the increased length of launchers. In their opinion, this may indicate that the Iskanders are adapted for firing 9M729 cruise missiles developed by the Novator Design Bureau. 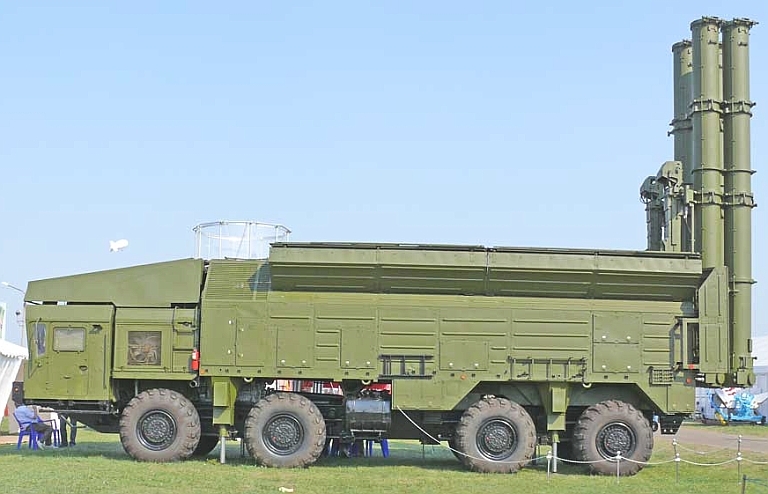 This is the land version of the Iskander KR with a range of up to five thousand kilometers. The video is the One That George1 posted to posts above. Can this be the 9M279 launcher? The cruise missiles they had in Iskander missiles are not the same as the naval or air launched models. They complied with the INF treaty and had range limits. They likely had a modular super heavy warhead that reduced fuel capacity, but increased effect on target, or perhaps allowed multiple targets to be engaged with one missile. dino00: It should be the ground launched version of the Kaliber system. The cruise missile launching version is called Iskander-K....K as in 'Kaliber'. If you remember the original version, it had long slender launch tubes, with lots of space in between in case the cruise missile required 'modernization'. They could of just as easily added wider launch tubes, where the cruise missile had large conformal fuel tanks attached to them. If it was Kalibr then it would have violated the INF treaty because it has a range of 2,600km or so, so it clearly was not Kalibr. It would look like a Smerch bigger brother. The first cruise missile of the Iskander-K was an offspring of the Kaliber, because of the INF treaty. Now the russian army could use the "normal" Kaliber. Newer Version, called Klub-T (Export). They could also use a heavy BAZ or MZKT or the new KaMAZ truck and fit a standard USKS onto it. MOSCOW, January 1. / TASS /. Rocket formations of the Ground Forces of Russia will fully complete rearmament of the Iskander-M missile systems in 2019. This was reported on Tuesday at the Ministry of Defense of Russia. 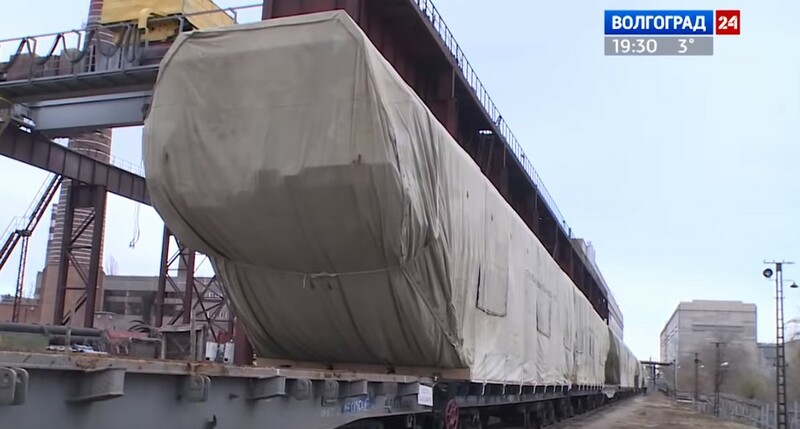 "In 2019, the rearmament of the missile formations of the Ground Forces of the Armed Forces of the Russian Federation to the operational tactical missile complex Iskander-M will be completed. As part of the execution of the state defense order, the manufacturer will transfer to the missile formation of the Western Military District a brigade set of operational tactical missile systems ( OTRK) "Iskander-M", - reported in the Ministry of Defense. The military department explained that the brigade kit includes more than 50 pieces of equipment, including launchers, transport-loading machines, command and staff vehicles, regulation and technical support machines, as well as life support machines. New 8th Combined Arms Army in Rostov doesn't have an unit yet so perhaps... or if the INF goes out the window a whole range of new ordnance. Moscow. February 4th. INTERFAX-AVN - The Iskander-M Russian tactical missile system will be upgraded and will receive new types of missiles, said Colonel Roman Spirin, chairman of the scientific and technical committee of the main missile and artillery department of the Russian Defense Ministry. "The development of ground-based missile systems is aimed at further enhancing the combat capabilities of the Iskander-M operational-tactical complex and provides for a significant improvement in its tactical and technical characteristics, ensuring operation in all weather conditions and the possibility of overcoming future enemy anti-missile defense systems," R.Spirin in the article in the collection "Rocket-technical and artillery-technical support of the RF Armed Forces-2018". "The current and planned research and development work is aimed both at modernizing the complex as a whole and at creating new types of missiles for it," he said. The collection "Rocket-technical and artillery-technical support of the RF Armed Forces-2018" published on the Internet. In April 2017, the head of Rostec, Sergey Chemezov, announced that a modernized version of the Iskander-M complex would be presented after 2020. According to official data, the Iskander-M is capable of hitting targets at a range of up to 500 km. The complex consists of two types of missiles: ballistic and cruise. The complex is designed to destroy enemy enemy rocket launchers, anti-missile and air defense systems, airplanes and helicopters at airfields, command posts and infrastructure facilities. The missile of the Iskander-M complex can carry a nuclear warhead. 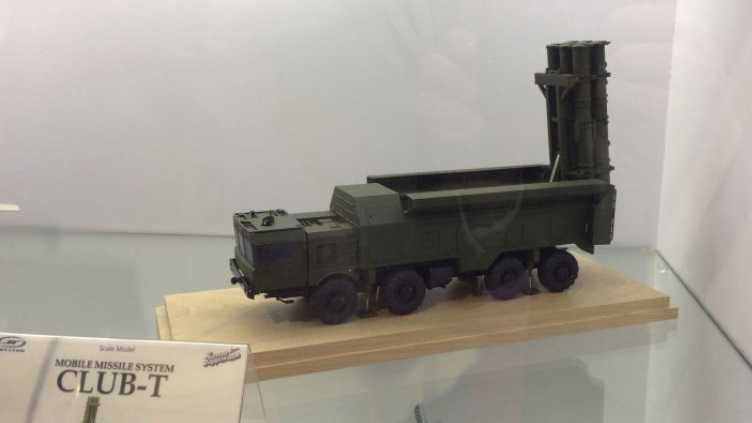 In 2017, Valery Kashin, General Designer of the Scientific Production Corporation Design Bureau of Engineering (KBM), said that seven types of missiles were created for the Iskander-M complex.
" Several more types of missiles have been created, apparently they are not different from each other. Now he has seven types of missiles, and maybe more "
I was thinking to put this on the INF treaty topic...not yet. They need to tweak this to longer range, 1000km should simple enough. It will allow them to close down everything from Kamchatka to Japan and to turn North Pacific into shooting gallery. And that's just Pacific. Well, Iskander's quasi ballistic path means shorter range than a true ballistic missile. If you want to keep the quasi ballistic path but with a range of 1000 and more km you will need a much bigger missile. Could even be impossible without reach huge dimensions for the missile. I think this could explain why they develop cruise missiles for the system. Cruise missiles keep the "surprise" factor just like the quasi ballistic missile so the enemy has very little time to react while a ballistic missile will be spoted by early warning radars from far away. If the actual iskander was used with a real ballistic trajectory its range would be bigger than the official 500km for sure. Unlikely, the whole advantage is that non ballistic trajectory -otherwise it is much easier to intercept. Me thinks it would be more like "ground based aerobllistic missile"
- one stage extra to provide with kinetic energy, rest is flying somewhat like Kinzhal. I suppose this is as good a time as any to re-share the Iskander ORBAT that @vpkivimaki and I made, complete with .kmz file. Podvig? DAT Atlanticist scum is working now officially for Us intel? The commander of the troops of the Southern Military District, Hero of the Russian Federation, Colonel General Alexander Dvornikov, in the article "The southern borders of Russia are reliably protected" in the newspaper "Krasnaya Zvezda" (Number 29 of March 18, 2019), among other things, said: "The media have repeatedly reported large-scale construction on the territory of the Rostov region and other regions of the Southern Military District, which unfolded in connection with the construction of the necessary infrastructure for the newly formed units and formations. And this great work continues. The formation of a motorized rifle regiment and a repair and reconstruction unit in the Rostov region, a regiment of the marine corps and a separate coastal missile division of the Balk Bank ballistic missile in the Republic of Dagestan, and also a rocket brigade in the Astrakhan region. " 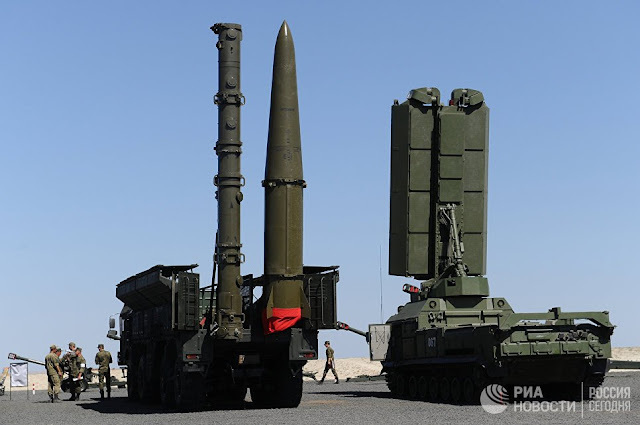 The decision to form a missile brigade in the Southern Military District was announced on February 27, 2019 at the board of the Ministry of Defense of the Russian Federation. Presumably, this is a revival of the 464th missile brigade. After the withdrawal from Germany in 1991, the brigade was stationed in Znamensk, Astrakhan Region, and was disbanded in 2009. The new brigade, after equipping the Iskander-M with the new Caliber missile systems, will become part of the 8th Guards Combined Arms Army. From the side of bmpd, let us point out that, apparently, for the formation of a new rocket brigade as part of the 8th Guards Combined Arms Army of the Southern Military District, was sent the second of two additional brigade sets of operational-tactical missile complex (OTRK) 9K720 Iskander-M concluded in August 2017 by the Ministry of Defense of the Russian Federation with the JSC "Scientific and Production Corporation" KB Engineering ". Previously, the first set of this additional contract was used to re-equip Kursk of the 448th missile brigade of the 20th Guards Combined Arms Army of the Western Military District. Thus, the new missile brigade of the 8th Guards Combined Arms Army of the Southern Military District became the thirteenth in a row in the Armed Forces of Russia equipped with Iskander-M OTRK. Calculations of operational-tactical missile systems "Iskander" of the Southern Military District in the framework of tactical exercises have worked out the tasks for the conditional destruction of marine and coastal targets, the press service of the Southern Military District reports. “The units of the missile compound deployed in the Krasnodar Territory were alerted and marched to the combat mission area. In the designated positional areas, the calculations of the Iskander complexes carried out electronic launches on conditional enemy targets detected in the water area and on the Black Sea coast. sea, "- said in a statement. So its not only coast targets, Russia how has an anti-ship ballistic missile. Your link goes to my 'The Mess' thread.